Manufacturer of a wide range of products which include pim-102 portable stadiometer, psm-101 portable stadiometer and psm-101 stadiometer. 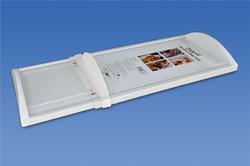 Portable Board designed to measure length of baby in Recumbent Position. Firm and Flat Horizontal Surface. Availability of Fold Up mechanism. Double sided Graduation for easy measurements and orientation of numeral on the measurement parallel to the board for facilitiating quick and easy reading of the results. Low weight , compact and easy to transport. Free from Sharp Edges and Corners. Availability of angled edges(Curved Edges) to prevent baby from roling sidelong. 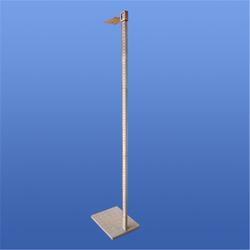 Stadiometer designed to Measure Height of Adult and Children aged 24 Month and Above in Vertical Position. Double sided graduation Parallel to Board for Easy Measurement. Stable connection assuring precise and accurate measurement. 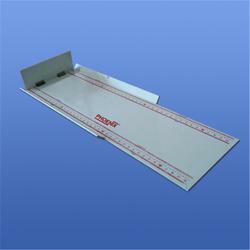 Large foot plate providing extra stable base and smoothly gliding measuring slide/wedge. Fold-up Mechanism and low-weight,making it compact and easy to transport.